THE YOUTH CULTURE REPORT » Is there a comparison between Hitler and George W. Bush? 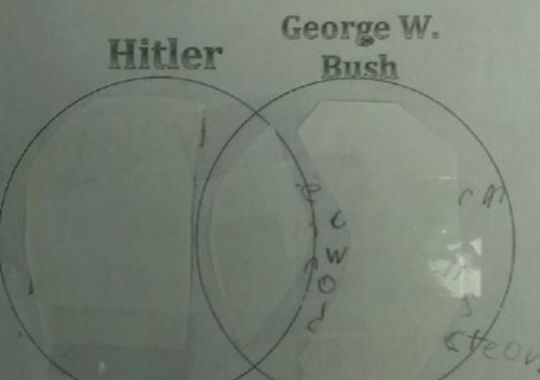 Is there a comparison between Hitler and George W. Bush? Teacher in hot water after assignment.